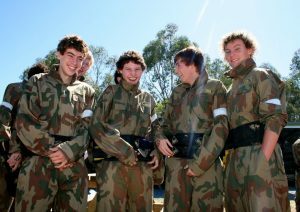 The AUPBA continues to concentrate efforts to lower the paintballing age from 16 to 12 years of age in New South Wales. It appears that the initiative has again gained national interest with an unexpected article in the Daily Telegraph. The AUPBA would like to point out that it did not initiate such an article and some of the facts stated in the article are incorrect. The Australian Paintball Association met with the Honourable Michael Daley (Minister for Police) and the Honourable Jodie McKay (Minister for the Hunter) at Parliament House in November 2010 in a bid to present a proposal aimed at reducing the legal playing age to 12 years of age. “There continues to be some hurdles to overcome but we are confident that we will get a result in the near future.” said President, Mr Bubenicek. This reduction in age will enable more people to experience the thrill of paintball in a safe and professional environment, much like in other states of Australia and around the world. The AUPBA is constantly looking to improve paintballing standards throughout the country. 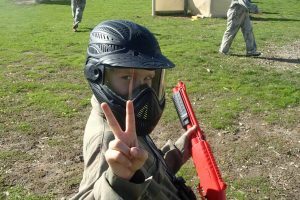 All member paintball centres have passed various quality tests to ensure that they are professional, safe and fun. The highest accreditation a paintball centre can receive is a 5 star rating, which the Delta Force Paintball centres have received due to their diligence in safety and constant thriving for improving the customer experience. The ultimate goal is to have a national standard for all paintball centres. This would enable the sport to grow and make the activity of paintball more widely recognised and accessible. Thanks go out to the AUPBA members and supporters that provided their unique insight into the proposal and have offered their ongoing support as we continue to concentrate on the single biggest opportunity in the NSW Paintball Industry.